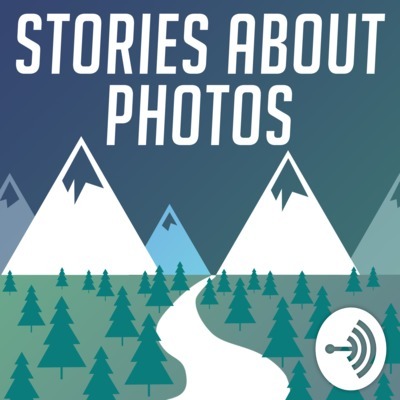 Stories about photos is a podcast about landscape photography and the stories that happen while you take a photograph. These are the stories you laugh with your friends about later. You know the when you were setting up for the perfect shot but then you fell in a lake type of story. Or the I was running to get a shot but I ran into an elk type of story. Sit back and relax and listen to the stories we tell about the photographs we take. Ok, I don't want this to be a doomsday description, and it's really not, but landscape photographers can and should be telling better stories rather than only searching for one epic shot per shoot. So, when I went to Ireland, I didn't take the right clothing, shoes, or basically anything. I did no research and paid for it. But the view at the top was SOOO worth it. On this episode of the podcast, Dusty Doddridge shares his story about the time he went out to shoot sand dunes in Death Valley National Park and got caught in an epic sand storm. Did he make it out alive? Well, yes, or else he wouldn't be on the podcast. BUT, did he get the shot? Was his rental car damaged? What almost took his shoulder off? This is the story behind the community of landscape photographers that never sceses to amaze me. Not only do they constantly try to help, but they can also be your biggest cheer leaders. Sometimes the stories we love are about the photos we haven't even shot yet. This is a story behind my dream photo of Clingman's Dome at night. Can photographers be outlaws as well? Typically no. But when it comes to star trail photography I suppose it's possible. Sometimes you have to go through the winds of death to get to the sunrises worth shooting. This is one of those times. You know those photos of half above and half below water? Well, I tried to get one and it turned out way better than I expected. However, the process of taking the photo... not so much. So, the Milky Way can be challenging to photograph in one place, but this is the story about the night I shot it in two places with a local Floridian. So, there's a point where you question whether or not you REALLY love photography. I reached that point, but the story behind a Milky Way photo in Maine confirmed that I actually do love night photography. This one time I went to Maine and took a huge risk to shoot some night photos. Not only was I happy I risked driving all day to get to a new location I'd never been, but my mind was blown by accident. One time in Grand Tetons National Park I almost... Well, I don't want to give anything away. This is the story behind one very eventful morning of photography. You know that lens you have at the bottom of your bag you always think you'll use but you never do? Yeah, that one. The one time I used it, I broke it in the Tetons. This is that story. This is the story about the elk photo I shot when I was first starting photography. It's a photo I never thought I'd get, and almost never did get because I was so close to death on the road to Cattaloochee valley! Remember your first photo when you decided to be a photographer? Well, this is the story of mine. It was a macro photograph and I tried to build my entire career around it. This is the story of how it was a complete disaster. What is This Podcast Even About? In this episode of Stories About Photos, I'll explain what it is you're even listening to, why I burnt out hard on my other podcast, and why this podcast is going to an all out attack on what makes landscape photography FUN.